Raylectron is a powerful photorealistic render plugin for Google Sketchup. Depending on the scene being rendered, one can use Raytrace with true shadows, Path tracing with or without direct illumination and Photon mapping. Each creating a unique effect. There is also 4 types of light source. The sun, the sky, environment maps and any materials set as a light source (emitter) with settings for the power and coverage angle. 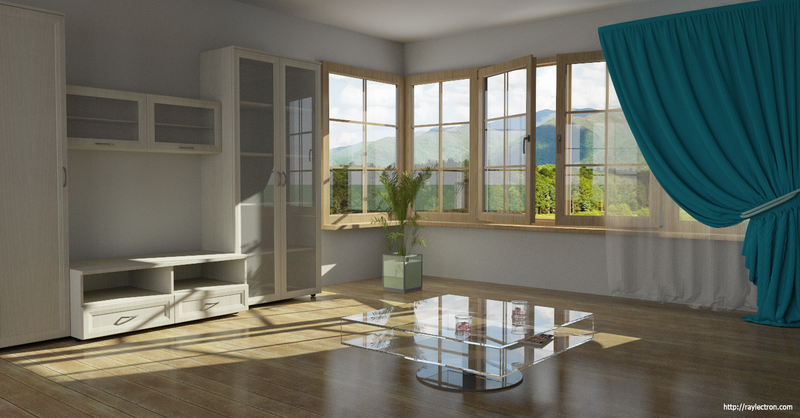 Raylectron is a powerful photorealistic render plugin for Google Sketchup. ...... angle. Any materials can produce different effects, such as reflection (like mirror), refraction (like glass), transparency, glossiness, shininess, bump maps, normal maps and background images. Caustics are also real, not fake or simulated. Raylectron utilize all the CPU cores and threads (user selectable) to render as fast as possible. Qweas is providing links to Raylectron 2.5 as a courtesy, and makes no representations regarding Raylectron or any other applications or any information related thereto. Any questions, complaints or claims regarding this application Raylectron 2.5 must be directed to the appropriate software vendor. You may click the publisher link of Raylectron on the top of this page to get more details about the vendor.